Dubai is one of the most visited destinations in the world and home to a number of record-breakers, from the world’s tallest tower to the busiest international airport on the planet. The abundance of wealth, amazing architecture and breathtaking desert landscapes makes it the ideal vacation destination. On this Fall Escape we’ll: visit the tallest building in the world, explore the bustling souks and spice markets, visit opulent palaces, jaunt through the desert and so much more! This epic trip is one you don’t want to miss!  Jaunts and Gems is a full service travel agency that creates and curates travel experiences from start to finish. On our group trips, we ensure that every detail is taken care of so all you have to worry about is what to pack! If you’ve been wanting to start traveling, but don’t have the time or energy to research destinations, put together a budget, plan activities, find lodging, and all the other details that come along with planning a trip, then you’ll enjoy one of our Jaunts and Gems Getaways! * Monthly Payments are AUTOMATICALLY deducted on the same day each month based on when you submit your deposit. Please see the notes for more information about payment options. Things happen and even airlines give you a refund within 24 hours. So, your deposit is refundable up to 72 hours after booking. Beyond that, it is non-refundable. All prices are based on the rates of exchange in effect at the time of price quotation. In the event that the US dollar devalues, Jaunts and Gems, LLC reserves the right to increase prices accordingly. Your final invoice will reflect increases resulting from currency devaluation. ALL payments to Jaunts and Gems are non-refundable and non-transferable. This is because Jaunts and Gems has contractual agreements with the hotels and other vendors that will not allow us to obtain any refunds. This helps to keep the package prices low and allow you to make monthly payments on your trip. Traveling abroad requires a passport valid for six months beyond travel dates. For this tour, your passport should not expire before May 31, 2020. Airline flight schedule for the full package will be released late March 2018. If you select the LAND ONLY PACKAGE, you are required to make your own flight arrangements and airport transfers. When making your own flight arrangements, you must pay close attentions to dates. You should schedule your flight to ARRIVE in Dubai on November 17th, 2019. This means many of you must fly out of the United States on November 16, 2018. You should also schedule your departure flight for November 23, 2019. Travel Insurance can allow you to get reimbursed should you need to cancel your trip for a variety of reasons. In some cases, it also covers any health issues that may arise while on your trip. Name changes on full packages are allowed with a $200 name change fee. Name changes on Land Only packages are allowed with a $50 name change fee. Late payment of $100 per person is required after final due date. You can login to our client portal to view your account and reservations 24 hours a day. Until February 1st, only the deposit amount will show when you go to reserve your space because of the special promo offering. (DUBAI75). Once you’ve made your reservation, you’ll be added to the monthly auto payment plan and will receive the email confirmation within 24 hours. You can opt-out of this program by emailing us at info@jauntsandgems.com. If you opt out of the monthly auto payment plan you are STILL required to make monthly payments of at least $50 manually through your invoice. If you miss two monthly payments, your reservation will be cancelled. If you’re having trouble making your payments, please email info@jauntsandgems.com. If you choose the auto monthly payment plan, you will receive monthly notices when your payment is due. Monthly payments are required in order to keep your reservation current. When you book, we’ll calculate an evenly divided automatic billing plan for you and you will know in advance the day of every month that your payment will be processed. Your initial deposit is due at the time of booking, and your future payments will be charged according to the schedule you see on your invoice. All final payments are due by September 1st, 2019.